Looking for a Drug Rehab or Alcohol Treatment Program in Rhode Island? The search for a drug rehab in Rhode Island will turn up a number of different types of recovery programs. The two basic categories for drug rehabilitation are inpatient rehab and outpatient rehab. The primary difference between these two categories is that enrolling in an inpatient rehab means the client lives at the treatment facility, whereas with an outpatient rehab they continue to live at home and attend the facility on a regular basis. Determining which type of care will best fit the addict's recovery needs can be determined by a drug rehab counselor. These individuals are skilled in determining the right level of care needed to help an addict overcome their addiction and regain control over their lives. Many Rhode Island residents are aware of the state's heroin and opioid addiction crisis. The state has the 7th highest fatal overdose rate in the United States. Numbers from the State Department of Health reports that during 2014, a total of 241 people died from overdoses in Rhode Island. Similarly, data from the Treatment Episode Data Set (TEDS) 2014 report notes heroin was the primary substance of abuse sending residents into treatment that year. During that year, 35.4% (3,838 individuals) of all Rhode Island drug rehab enrollments cited heroin as their primary substance of abuse. This state is in desperate need of extra funding and resources to address this issue. One prominent individual, U.S. Senator Jack Reed has put the focus on the state's heroin crisis. His attention to this matter has led to the Senator guaranteeing that Rhode Island is eligible to apply for some of the $7 million in the Community Oriented Policing Service program for drug prevention strategies, as well as police work to end the sale of heroin and unlawful circulation of prescription opioids. Enrolling in alcohol treatment in Rhode Island will benefit the recovering person through the program's expert care and rehabilitation services. The purpose of alcohol treatment is to help the addicted person handle the physical nature of their alcohol addiction while uncovering the underlying issues that cause them to abuse alcohol. During their time in treatment, the recovering person will handle personal issues connected to their problem drinking, develop new healthy coping methods, and work on relapse prevention skills. Following alcohol treatment in Rhode Island, it is important for the recovered individual to continue with aftercare. Aftercare plays a crucial role in maintaining sobriety and keeping connections established with rehabilitation professionals during alcohol treatment. During 2014, 23% (2,488 individuals) of all program participants enrolled in Rhode Island rehab cited alcohol addiction as their primary substance of abuse. Of this group, 66.8% were male and 33.2% were female. The largest age group to receive alcohol treatment in Rhode Island during 2014 was between 46-50 years old. Choosing to speak with a counselor when deciding on inpatient vs outpatient treatment in Rhode Island is one of the best ways to ensure the addict receives the best treatment possible. Through a series of questions the counselor will be able to determine the severity of the person's addiction problem as well as what level of care is needed to help them get clean and sober. When comparing the treatment options available, it is important to understand the strengths and disadvantages of each type of program. Inpatient treatment in Rhode Island offers the recovering person the highest level of support and guidance during their recovery. This level of support comes from the staff and other program participants working and living at the rehab center. Inpatient treatment provides the recovering individual with a structured routine and around-the-clock care. These programs have some of the highest success rates in the industry and offer the recovering person a safe, substance-free environment to reside during their recovery. The potential disadvantages of inpatient treatment in Rhode Island include the commitment to living in the rehab center, leaving behind personal obligations during rehab and the additional cost of inpatient treatment. Outpatient treatment in Rhode Island offers a much more flexible schedule for rehabilitation. This type of treatment allows the recovering person to continue to live at home while they receive addiction rehabilitation services. The person is able to maintain many aspects of their daily life, such as work or school during their recovery; often a great benefit to individuals who are unable to take time off or leave personal obligations behind for any significant period of time. Also, outpatient treatment typically costs less than inpatient treatment because the program participant's room and board are not part of the recovery cost. This makes outpatient treatment a desirable option for many individuals unable to afford the high cost of inpatient care. Of course, there are a number of potential disadvantages to choosing outpatient treatment in Rhode Island. Possible disadvantages of outpatient treatment include the increased chance of relapse during treatment. The program participant must be able to maintain their sobriety when away from the rehab facility. An unstable home life or unsupportive family and friends will make the experience of outpatient treatment nearly impossible to successfully accomplish. The National Survey of Substance Abuse Treatment Services (N-SSATS) conducts an annual assessment on the substance abuse treatment programs in each state. In this survey they collect data on the location of the program, the characteristics of the program, the services offered by the program as well as the number of clients in treatment at the time of the survey. In N-SSATS's most recent survey conducted on March 29, 2013, Rhode Island had 62 substance abuse treatment facilities. At that time, there were 10,404 clients enrolled in treatment. Of the 62 substance abuse treatment centers in Rhode Island during 2013, 54 were outpatient treatment programs, 15 were inpatient or residential treatment programs and 4 were hospital inpatient programs. What Does Inpatient Rehab in Rhode Island Involve? Inpatient treatment in Rhode Island involves devoting a period of time to fixing the issues that brought on drug or alcohol addiction problems. Choosing inpatient treatment means packing up and moving into the rehab center, bringing only day to day essentials such as clothing, toiletries and possibly music or books. 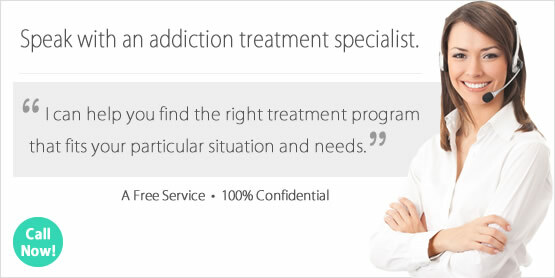 This type of intensive drug rehab programs offers the most structured care and provides the highest level of support. Program participants are surrounded by other like minded individuals working on overcome addiction problems similar to themselves. Living in the treatment center helps the recovering person focus on their short term goal of getting clean, while addressing the issues that might hinder their long term sobriety once treatment is complete. The duration of inpatient treatment varies from program to program. Short term inpatient treatment typically lasts a month or less, while long term inpatient treatment can go on for several months. Records from the March 29, 2013 N-SSATS article on Rhode Island reveals there were 15 inpatient programs at the time of the survey. A number of these inpatient programs deliver several treatment lengths ranging from short-term to long-term care as well as detoxification facilities. Of the 15 inpatient treatment programs in Rhode Island at the time, 10 provided short-term care (less than 30 days), 14 provided long-term care (greater than 30 days) and 2 provided detoxification facilities. If you or someone you care about is in need of inpatient treatment in Rhode Island, please contact our organization. We will be able to help in locating the right program and answer questions about inpatient treatment in Rhode Island. What Does Outpatient Rehab in Rhode Island Involve? The decision to enroll in an outpatient Rhode Island drug and alcohol rehab program will help the addicted person address their day to day recovery needs. These types of programs are less structured than inpatient treatment, allowing the individual to keep their job and many of their personal responsibilities. When participating in an outpatient treatment program the client must take responsibility for their sobriety when away from the facility. This is often one of the most difficult aspects of outpatient treatment. However, individuals who live in a supportive and substance-free environment will greatly benefit from the freedom allotted in outpatient care. Counseling, therapy and group meetings are typically involved in outpatient treatment. In the N-SSATS March 29, 2013 survey of Rhode Island substance abuse treatment locations, there were a total of 54 outpatient treatment programs. A majority of these treatment centers provide several types of outpatient services at the same location. Of the 54 Rhode Island Outpatient treatment centers 50 provided regular outpatient treatment, 28 provided intensive outpatient treatment, 10 provided day treatment or partial hospitalization, 14 provided detoxification services and 19 provided methadone/buprenorphine or Vivitrol maintenance. We understand how important it is to find the right outpatient treatment facility. If you or someone you care about needs outpatient treatment in Rhode Island please speak with one of our addiction counselors. With their professional help the right outpatient treatment program can be located and healing can begin.